Continuing from where we left off in Probation Violation Charges: 5 Facts to Know (Pt. 1), below are some additional important facts to know when it comes to allegations of probation violations. Hearings to resolve probation violation charges proceed far differently than other criminal proceedings. 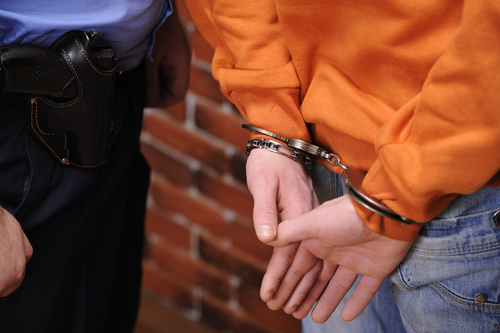 Call us for the strongest defense against these and other criminal charges. Fact 3 – Resolving these charges will involve a hearing, rather than a trial. When probation violation charges are filed, the accused person will have the chance to defend himself in a special hearing overseen by a judge. Unlike the proceedings for other criminal cases, these hearings will not involve juries. However, similar to other criminal proceedings, both sides (i.e., the prosecutor and defense) will have the opportunity to present evidence for their case during this hearing (and dispute evidence presented by the other side). Fact 4 – The standards of proof for prosecutors are far less strict when it comes to proving probation violations. In standard criminal proceedings, prosecutors are required to prove their cases beyond a reasonable doubt in order to secure a guilty verdict. In other words, for standard trials, if there is a reasonable doubt that the accused person may not have been the person to commit the alleged offense, then juries should hand down a “not guilty” verdict. This can be a powerful defense in many criminal cases. In contrast, however, there is no such standard of proof for probation violation hearings. Instead, in these hearings, prosecutors only have to establish that it was more likely than not that the accused individual violated his probation (rather than proving this beyond a reasonable doubt). What this ends up meaning for people accused of probation violations is that it may be far easier for prosecutors to win favorable verdicts in these cases. Fact 5 – Trusting your defense to the Griffin Law Firm will be your best move when you are accused of a probation violation. The most important fact to know about probation violation charges and hearings is that the accused should have our Denver criminal defense attorney defending them in order to successfully resolve these charges. The fact is that probation violation charges are serious and that being found guilty of these charges can immediately send a person back to jail/prison (in addition to potentially having time added to their sentences). By having a skilled attorney at the forefront of the defense, accused people can rest assured that their rights will be protected and that they will have the best chances of resolving these cases as favorably as possible. If you or your loved one has been accused of violating probation, Christopher Griffin wants you to know that he is ready to immediately start providing you with the strongest possible defense. At the Griffin Law Firm, all of our legal professionals are dedicated to working tirelessly to help our clients obtain the best possible outcomes to their case. In fact, our steadfast dedication to the notion that the accused are innocent until proven guilty means that we will do everything in our power to help our clients resolve their cases in the most favorable and efficient manner possible.